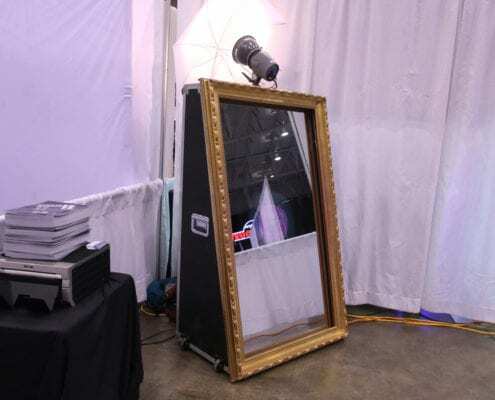 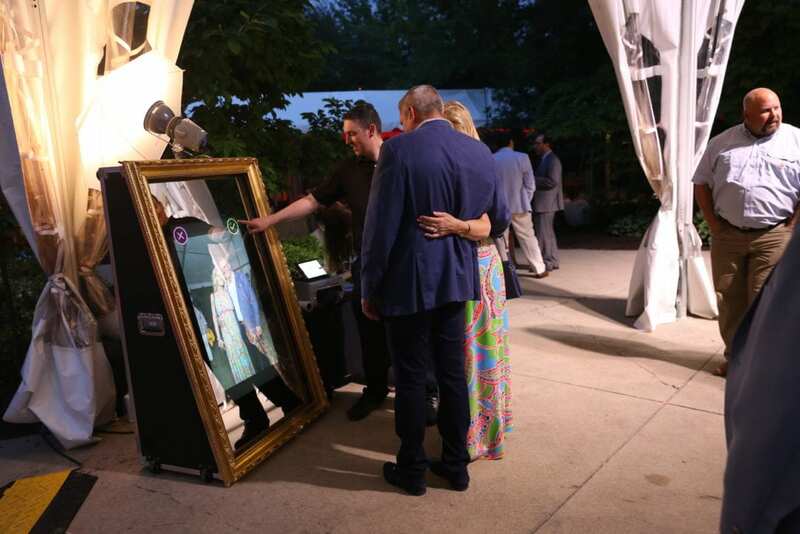 This interactive mirror set-up lets you sign your photos and add emojis! Unlimited prints, social media sharing, and photo attendant included! Plus, we have multiple frame options available to match your wedding décor! 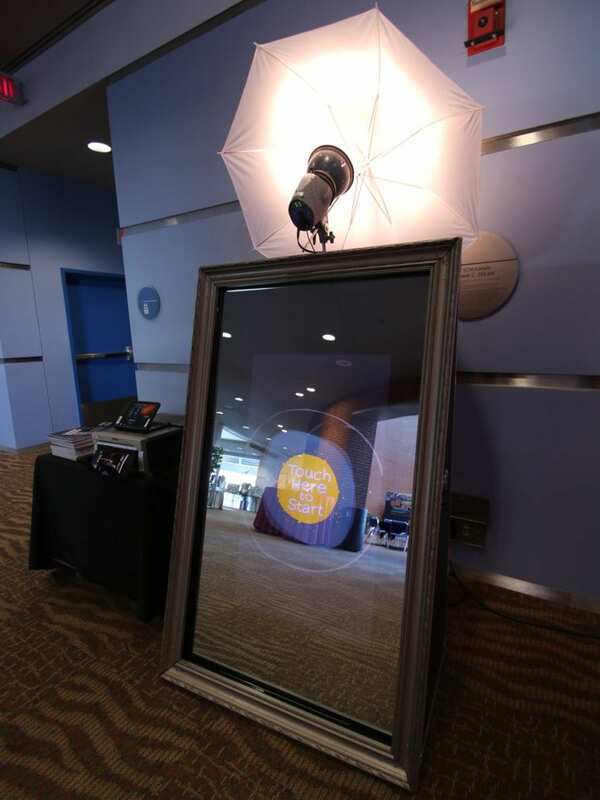 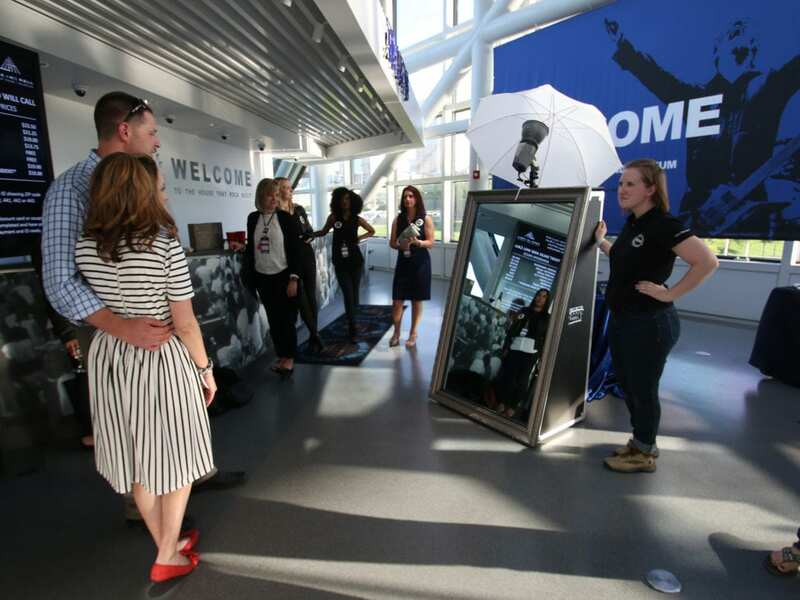 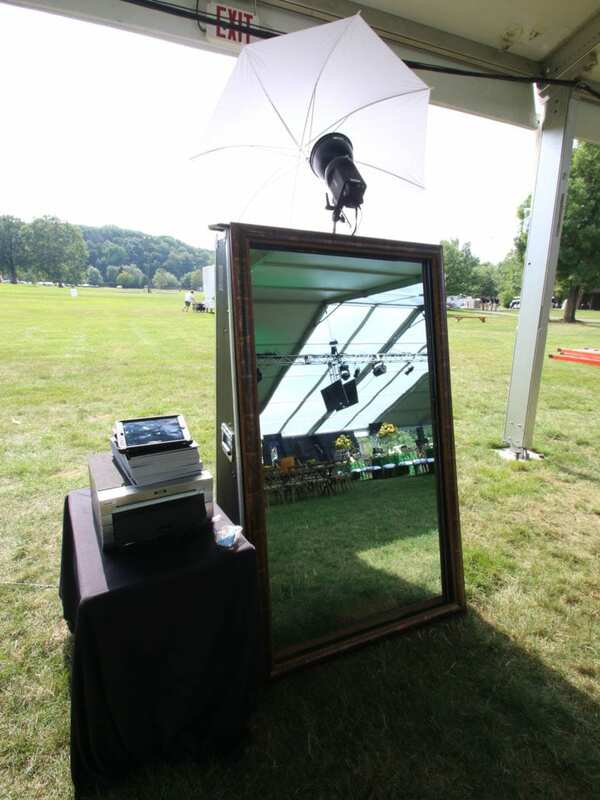 CHECK OUT THE MIRROR BOOTH IN ACTION!